We’re what professionalism sounds like. The perfect soundtrack to the best day of your life, spun with your wedding or event in mind. 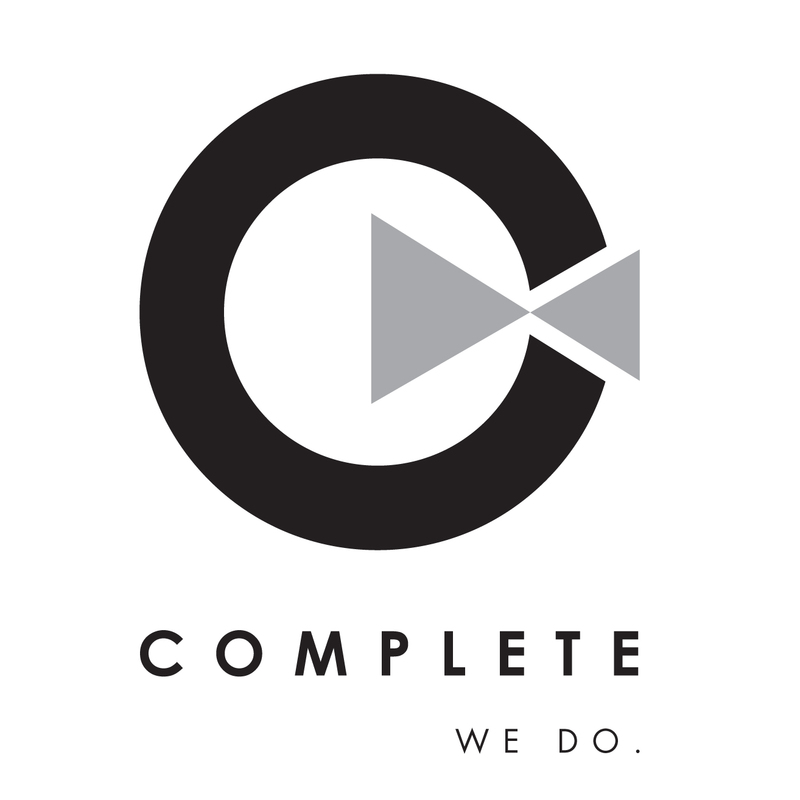 The DJs of Complete Weddings + Events Kansas City will keep you and your guests dancing till the reception ends. I was a bride in June and I booked this company almost a year and a half before my wedding. I would not change it for anything!!! They were so helpful and available throughout the whole wedding planning process and made themselves readily available to us. The day of the wedding was absolutely perfect and almost every single person there complemented the professionalism and vibes all the staff had - particularly our DJ Brandon. If any of my friends get married in the future I will STRONGLY suggest using this company! - Courtney & Jimmy H.
The DJ Brandon was fantastic! He kept us on track to get everything we wanted to happen during the reception. He played all kinds of different music that was perfect! Hayley & Brandon F.
Professional, helpful, and some of the best service we have ever had! Our reception couldn't have gone any better with Brandon's help! - Raney & Troy P.
Lisa, Bailey and Brandon work fantastic together. They are great to communicate with. Very flexible with last minute changes! They are all very easy going which made it great for our bridal party to feel comfortable to be around them. - Samantha & Clayton W.
Brandon was an exceptional DJ, but also went above and beyond to make sure my husband and I had drinks and enough food during the reception. He catered to our needs throughout the evening and was more than happy to accommodate our guests requests as well. Our experience was absolutely perfect and we're so grateful for Brandon's attention to detail that we had discussed in our meeting with him a few days before the wedding. He truly went above and beyond. - Kendra & Matthew W.
I love the ease of getting all the information to the DJ and how professional everyone is in the office. Our DJ Brandon was amazing to work with and was a perfect fit for us. We liked that we were able to meet with the DJ before hand and send changes all the way up until the wedding started. I would highly recommend Complete! - Michelle & Stefawn B.
Brandon was more than a DJ. He helped our ceremony and reception flow flawlessly. He was so kind and helpful to us and our guests. At one point we saw him helping clear tables and taking plates. The music he played kept the dance floor going for the entire night. All of our guests were sore from dancing the night away. We would recommend Brandon to anyone looking for the best of the best! - Lauren & Blake S.
Brandon was excellent and catered to all of our needs. He very much exceeded our expectations of what a DJ does! Thank you so much Brandon! - Angie & Jarrad W.
Brandon was so friendly and helpful. He even helped out during dinner to make sure everything was going smoothly. The party went great and everything we talked about was extremely smooth during the event. Ted was easy to get in touch with and made the booking process quick for us. Customer service was a 10+ from start to finish. Will definitely recommend to friends and family having events in the future!! Thank you for making our night a success! - Stephanie & Ross P.
The DJ was more than a DJ, he was our reception host. He took excellent care of the Bride and Groom, plus all of our quests. He was so flexible with our schedule and helping to round up everyone for announcements and dances. My husband words sum them up "they were more than worth the money". He is very hard to please and does not give out praise easily. But her was very impressed with Complete. Thank you very much for helping to make Kaitlynn and Andy's wedding day very special! - Lori J, Kaitlynn & Andy T.
Logan was hands down the best DJ we could have asked for! From our initial meeting and walking through our timeline, he made sure that he knew all the correct pronunciations for each persons name (especially since we had some very unique name). When we left our first meeting with him, we were at such ease and had such confidence that Logan would make sure our evening would flow smoothly. All night and even days after the wedding, we got such great compliments from everyone saying how great the DJ was! He made sure to cater to the crowd and played music for all ages. He especially listened to our desires to play some of the older music at the beginning and then playing more current music as the crowd changed throughout the night. He made sure that the entire evening, he played all the key songs that we wanted. Not once was the dance floor empty throughout our entire reception. He did a great job making sure that we stayed on track throughout the reception and kept the entire room informed on what was going on through out the night. All our other vendors had nothing but great things to say about Logan and he went above and behind what we ever expected for our DJ. 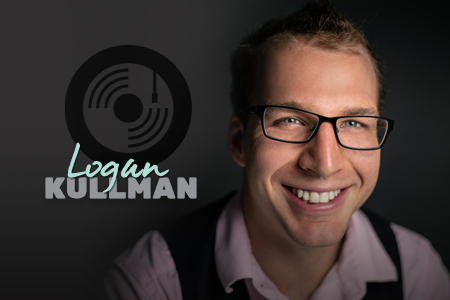 Booking Complete Weddings was one of the best decisions we made, and do yourself a favor and request Logan to be your wedding DJ. You will not be disappointed! Thank you so much Logan for making our big day so special! - Ellie & Thomas R.
All questions and or needs were answered from day 1. Logan did a phenomenal job with our wedding. Logan met with us prior to our big day and was professional from the minute we met him to the time he left at the end of our reception. Logan was very fun, energetic, engaged and went above and beyond to make our day unforgettable! We can not thank Logan enough for all of his hard work and for giving 150% at all time! You are the best Logan and we will be recommending you to everyone we know! - Rachelle & Brent B.
Logan was very organized and thorough in his attentiveness to our wishes for the evening. He executed his task in a timely manner and took the entirety of the burden for progressing the night along. It was a stress free evening that we thoroughly enjoyed. - Shelby & Chris S.
The DJ, Logan, went above and beyond; he willingly became our day of coordinator and made sure things ran smoothly and on schedule. Photographer, Michael, worked very hard to ensure we got all of the traditional shots, plus some modern and all of the shots we ourselves requested. They both went above and beyond. Our dance floor was occupied all night, people hushed about the music choices, and we look forward to seeing the pictures when they're available. Thanks for everything! - Anna & Spencer K.
The DJ (Logan), photographer (Angela), and photo booth operator (Diana) were all incredible. They were extremely professional, friendly, and helped to make the wedding run even better than expected/desired. They operated independently and communicated well with us and our families throughout the evening. Logan was especially helpful with planning and running the various reception activities. We are so grateful. - Stephanie & Courtney C.
Our DJ was WONDERFUL, Logan did everything perfectly. I would recommend him over and over again. He is a 10 for sure. - Katie & Jeff H.
Very easy to work with. No added stress, Logan kept constant communication with us throughout the night to make sure we were happy with the music being played. - Christa & Gregory Z.
Jason Bown’s Biography coming soon! We used Complete for photography, videography, and DJ. All three were absolutely amazing and more than we could have asked for to make our day so special. The photographer, Angi, was remarkable, she was so nice, thoughtful, and took charge when it came to making us on time and getting all of the "right" shots. Fred, our videographer was kind, and considerate and we can't wait to see the video! Jason, our DJ made the night spectacular. He added that extra touch to our dances, got the crowd involved and literally had everyone on the dance floor! He played a great mixture of crowd favorites and new age, which was perfect for our guests. We had some high expectations and Jason surpassed them. We won the jackpot with him. I also want to give a shout out to Dustin and Ted for their behind the scenes help and answering all of my questions. Thank you Complete! - Caitlin & Jeremy E.
Jason was very friendly and easy to work with.! - Sara S.
Jordan Keller - Jeff Clark 4/30/17 10 DJ Jason was amazing!!!!!! Our DJ Jason was very professional, he made sure every step of the wedding went smoothly, interacted with guests and provided a wonderful experience. - Shaia & Duane D.
The DJ we had did a fantastic job overall and was very energetic and outgoing. He played exactly the kind of music we were looking for during cocktail hour/dinner and was right on target with the music during the ceremony. However, he did not pay attention to the list of songs we asked not to play (these were in writing through the website and discussed with him prior to the wedding) as he played 3/5 of those songs listed. He also did not take requests much despite our urging for him to do so (including requests from the bride/groom!). Again, overall a great DJ but there was room for improvement. - Mallory & James M.
Our DJ Jason Bown. Was very our going which is what we wanted for our day. He took the time out of his lunch hour to meet with us a few days before our big day. Jason was great with the guest and very courteous to us. If plans/orders of the night changed he was great to accommodate for us. He kept the music going and interacted with our guests greatly. Jason was a blast to work with. Thank you! - Whitney & Will K.
Everyone was very nice and knew what they needed to do. - Michelle & Andy J. Our DJ Jason did an amazing job at getting every one involved and making sure our wedding reception was as fun as possible. He did everything right and there was not a dull moment at the party! He was organized, fun, and respectful! - Tiffany & Todd C.
Felicia Roberts has been an entertainer for a very long time. She’s been singing, cheering and dancing for audiences since the young age of 5 and has always had a deep passion for performing and entertaining others. As a former Tennessee Titans Cheerleader with the NFL, she made professional appearances dancing for artists such as Trace Adkins, Jason Aldean, Tim McGraw and Jay Sean to name a few. She is well versed in all music genres from indie and hip hop to country. Equipped with a Bachelor’s degree in Corporate Communications, she possesses strong organizational skills and prides herself on her communication skills. Her full-time day job consists of organizing volunteer events and planning large corporate functions for her organization. “I am all about events!” Felicia regards music as a second language for herself. “For me, music is the soundtrack of life. Your wedding is one of the most – if not the most – important days of your life and that soundtrack needs to be perfect. I take pride in curating that soundtrack so that it resonates with the personal story of the couple and their personal vision!” Felicia loves getting people out to the dance floor and teaching them moves to keep the party going! Bryant Black has been DJing with Complete Weddings + Events for over 20 years – with that amount of experience there is no event Bryant can’t do! 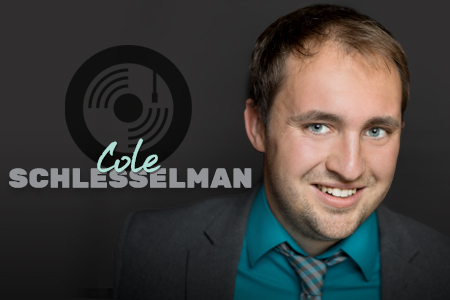 He is a very well rounded DJ that will accommodate your needs the day of your wedding! Now his background story may seem like fate, but we will let you decide. Bryant, in his younger days, was a designated driver for people and would always pay close attention to all of the DJ’s at the clubs. Crazy enough, he was a driver one night and the following night a DJ had not shown up for the event – Bryant then had asked for an opportunity to DJ and has never looked back since then. His aspiration at his events is to let everyone enjoy themselves, and make the bride’s and groom’s special day is a breeze. On time with setting up equipment and breaking down after event. Bryant was the BEST. As the coordinator of the event, I received several outstanding reviews from the participants and they represented a wide range of musical choices. Bryant is friendly, targets the needs of his audience, and adds the final touch to the gathering. It was a success . I will be sure to promote Bryant and "Complete" if asked for a suggestion. - Dee Gee M.
Our DJ Bryant was the best. He did everything in his power to help make our day as special as possible. He not only played great music but he helped clean up afterwards. Complete Weddings totally exceeded our expectations with their professionalism and manner. We couldn't have been more pleased. Thank you so much and I would recommend Complete Weddings to everyone! - Beth & Mike R.
Bryant was amazing. He was so easy to work with and did a wonderful job. - Katie & Jason P.
Our DJ And photographer were great!! Did a wonderful job my entire wedding day!! Couldn't ask for better. - Sarah & Brock C.
So many things....reasonable prices, great customer service, amazing providers. Both our DJ Bryant and videographer were fantastic! We couldn't have asked for more! - Lauren and David H.
Bryant was awesome in every way. He was incredibly helpful in all parts of our ceremony, reception, and dance. He played music that definitely fit our guests' and our own style. He went above and beyond. - Stephanie Andrew H.
Bryant did a phenomenal job. He made sure that everything ran smoothly and got everyone involved. We loved everything about what he did. Awesome job!! - Marissa & Kevin C.
Bryant was a lifesaver! Not only was he a phenomenal DJ, but he met with all of the vendors and was like a wedding planner for us! He periodically checked with us to make sure he was doing a good job and asked if there was anything we needed or wanted him to do differently. He was amazing and I can't wait to have another event so that we can use him as a DJ again! - Kristy A, Alyssa & Jacob E.
Working with Bryant was absolutely wonderful- He made our wedding day so great! - Shelby & Ben McD. Bryant was absolutely excellent as our DJ. Several guests commented on how much they enjoyed the playlist and I know the dancers appreciated that some of the super-long 6 minute songs were cut a bit short. I also really really appreciated his attention to time- he noticed that we were likely to have the photographer leave before the first dance and approached me about changing the schedule. I can't say enough great things about Bryant! Everything was great. Bryant was the perfect DJ. - Angie S.
Our DJ Bryant did a nice job of getting the crowd involved in an easy going manner. - Marci C.
Bryant our DJ was great, he was very attentive, willing to help with anything not just music, was very lively, and kept people on the dance floor the entire night. I would highly recommend him to anyone. Great wedding DJ. - Nicole & John K.
We had a lot of compliments about the great music selection for all ages. The dance floor was packed the whole time! There was never a time where people walked away from the dance floor due to the music choice. Aleisha did an amazing job! - Kelsey & Alex J. Everything, Aleisha was amazing! - Lucia C.
Teresa is a goal oriented, result driven professional who is friendly, loyal and dedicated to please her clients when she is DJing any event. For her, DJing is blessing towards making peoples days memorable and a night no one will forget! “Being a DJ has to be one of the most enjoyable professions around. There is nothing more fun than being able to travel and perform at some of the best venues around. The profession requires me to party, and dance – can life get any better? There is no better feeling than when I am doing something I love and enjoy, and seeing a huge crowd of people having an absolute blast as a result of what I am doing.” With Teresa being in the Medical profession for many years, she has catered to the needs of people and loves communicating and interacting with others. If you’re looking for top notch customer service, look no further and request Teresa to be your DJ! Ron Carpenter’s Bio coming soon! Ron, our DJ, and Aleks, our videographer, were both excellent! Ron made our reception flow well, was great to work with, and got our guests on the dance floor having a great time. Aleks was also great to work with and was always inconspicuous so we enjoyed our day. I am excited to see the video! - Cindy & Julian C.
Our DJ Ron did a fantastic job at our wedding, and worked hard to make it the perfect day. He is professional and passionate about his job, and that really came through at our wedding. He kept everyone dancing and followed my picky music requests. We had several people tell us how much they liked him days later! - Hannah & Garrett E.
The photography was very helpful with items and was friendly. The DJ did a great job of keeping g the party going and was great to Dustin and I, and our guest. - Kristin & Dustin R.
I cannot say enough good things about Ron, our DJ. Ron was incredible. He met with us a week prior to the event, to go over everything from what type of music we wanted/didn't want, the timeline for our wedding reception and what we expected from him. He delivered in every way. He kept our event moving, got people up and dancing and much more! He wanted our day to be perfect and he gave us just that! Everyone at the reception told me how great he was. I would recommend him to ANYONE/EVERYONE! - Erica & Thomas G.
Our DJ was amazing! The Dance floor was full most of the night, everyone enjoyed the songs, his interaction and energy. I would recommend the company and Ron to anyone who wants to have fun :Thank you for making our night special and very smooth! You were flexible with our changes last minute and constantly updated myself and guests for information they needed. Thank you so much! - Kimberly & Nick S.
The DJ was amazing, we had Ron and he walked in and said that he will get everyone out of their seats to dance. He did it within 10 minutes. He was funny, personable, and had an awesome selection of songs. I have been to many weddings and this DJ was hands down the best DJ I have ever come across. Ron deserves every bit of credit I can give. - Abby & Brennan H.
Deborah McDonnell - Ryan Walters 4/21/2017 Our experience from scheduling to pre-event communication all the way through our event was amazing. Our wedding and reception would not have been the same without your service. Our DJ Ron was absolutely amazing! He was extremely professional but was also the life of the party - he made sure everything ran flawlessly and kept every one of all ages involved all night. I honestly have never had more fun and I have had so many compliments from our guests commenting on how great he did! - Deborah & Ryan W.
Promptness of DJ and ability to get the entire group to participate in the activities. Great personality and everyone was very please. - Cecelia S.
Really got our guests out of their chairs and having fun! - Lauren & Sean K.
Amazing staff that worked with us every step of the way and answered any and all questions we had. Out DJ Ron was INCREDIBLE!!! Full of energy, accommodating and a genuine nice guy! Thankful I chose Complete Weddings + Events KC. - Bria & Donovan S.
Ron kept us entertained throughout the entire reception and did a great job of keeping everybody on a timeline. The music play list was good. The music outside for the wedding could have been a little louder but other than that everything was great. Thanks! - Debbie M.
Ryan went above and beyond to make our reception amazing! We met him the week before and he kept in contact with us throughout our wedding week. At the reception, he was very attentive to my husband and I. He kept the night running smoothly, checked in on my husband and I throughout the night, and kept people on the dance floor all night long! All of our guests had a great time! Our family and friends said they had not been to a reception with that many people on the dance floor all night in a long time. I would definitely recommend complete weddings! Thank you all for everything! Our reception would not have been the same without our amazing DJ Ryan! Lauren & Chris K.
Complete was such a good company to work with. They kept in contact with me during the whole process, which I appreciated. It was easy to reach them either by phone or by email, and I always had a response/answer quickly. Our DJ, Ryan, was also easy to work with! He was great fun at our daughter's wedding I had multiple comments about Ryan during our reception from our guests that he was enjoyable and engaging while playing a ton of fun songs that our guests enjoyed. I would recommend this company to others! - Sandra S.
We thought Ryan was very professional and frequently checked in to make sure everything was okay. He did an awesome job to make sure our day was special! We also liked the online forms and being able to input all our information and song choices. - Angie & Monty R.
We loved Ryan! He was absolutely amazing with the music and announcements, attentive, very friendly and seemed to enjoy himself, and went way beyond our expectations, we loved him! We would absolutely recommend Complete Weddings to others and already have! - Courtney & Caleb B.
I liked how Ryan was very accommodating to both Sam and I! I like the ploy to get people out on the dance floor by asking everyone to come out and crowd around us! - Kara & Sam K.
Ryan was amazing!!!! We want to plan another party just to have him DJ again! - Sharlene & Brock S.
Everyone loved Jonah! He was perfect and professional. Went above and beyond! - Taisha & Melvin J.
Jonah was great, music was exactly what we asked for, and the office staff has been great to work with. - Monica & Ryan Q.
Jonah was able to read the crowd and provide great music all night! - Colleen W, Meghan & David B. The DJ (Jonah) was very good at listening to exactly what we wanted and the photo booth operator was extremely patient will all the guests. - Lori D.
Jonah was prompt, and professional! 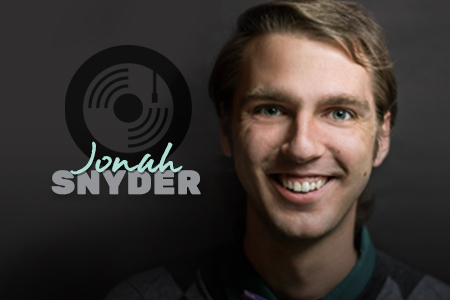 - Amanda S.
The DJ (Jonah) played the music we liked and seemed to be enjoying himself! - Amber & Jeremiah S.
Jonah Snider was our DJ, and he was absolutely fabulous! He played songs off of our custom playlist and supplemented other songs that were of the same style/genre. He was enthusiastic and professional in his work. - Kathrine & Jacob F.
Jonah had so much energy and perfectly captured the atmosphere we were going for! - Maggie & Chuck C.
Lauren our Videographer and Cole our DJ, truly made the experience one of a kind. I was a bit worried that we wouldn't be able to "customize" so to say, the DJing, or our Videography- but I was wrong. When my husband and I first sat down with Lauren and Cole they immediately explained to us their white glove service policy, and they did not disappoint. I truly couldn't be any happier with their services! - Kayla & Jacob T.
Cole was a wonderful DJ! He was fun and everyone had a great time! He helped make our wedding ceremony and reception the greatest night of our lives! Thank you so much - Jessica & Jason O.
Jason Hefley strives for success and makes sure his clients leave from a memorable night they will never forget! Jason is a very detail oriented individual that will make sure things are running smoothly throughout the night to make your night special and perfect. “My goal is to make the Bride and Groom’s reception a night that they will remember for the rest of their life. I just enjoy making people happy, I enjoy seeing the excitement in someone’s face when they hear their favorite song come on.” While Jason loves to entertain and make others happy, he is one of our more smooth and laid back DJ’s in our team. Hey may not be crazy on the dance floor nor be too rowdy, but he has a strong love for music! His main specialties are in the 60’s, 70’s, disco, and Funk music, so if you’re in the search for a DJ to bring you back to your younger days Jason’s your guy! Please click our two links above to view our selection of music from all artists, to all songs titles! From big days to school dances, bat mitzvahs to corporate gatherings, our Complete Weddings + Events Kansas City DJs work with you to create the perfect event, with professional party motivation and expertly coordinated announcements.